Presentation of the website of the Commission on Business Environment and International Ratings and the Platform for Dialogue between the State and Business is underway in Baku, AzVision.az reports April 5. 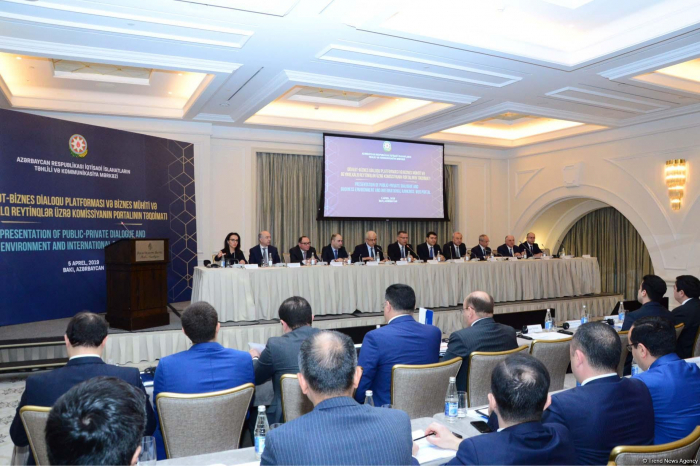 Executive Director of Azerbaijan’s Center for Analysis of Economic Reforms and Communications Vusal Gasimli noted at the event that the presentation of the platform will allow reaching a new level of cooperation between the public and private sectors. He said that the transition to digital management is expedient from the point of view of attracting additional dividends to the public and private sector.